TORCHE: ATTN: South Florida... come see Torche this Sunday! ATTN: South Florida... come see Torche this Sunday! 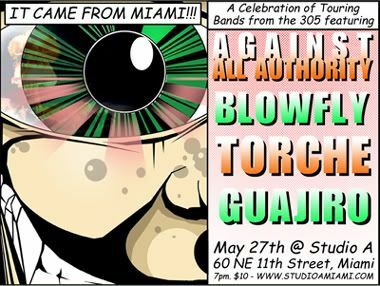 We'll be playing on Sunday at Studio A in Downtown Miami with Against All Authorty, Blowfly, and Guajiro. Make sure to get there early. We play second and will be finished by 9 or 9:30. New music player added on page! Sign up for the TORCHE forum!! !